Valentine's return gift from Asterios. 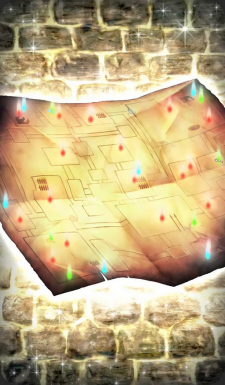 A complete map of a certain labyrinth. It shows everything from stairs and treasure chests to warp zones. With this, you could probably escape without taking a big ball of yarn with you. This page was last modified on 6 April 2019, at 09:12.